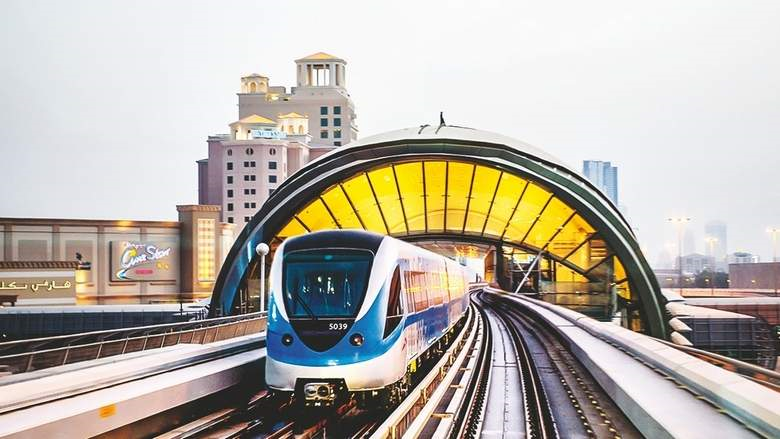 The Dubai Metro has impacted residential capital and rental values since it started operations in September 2009 with the opening of the Red Line and the Green Line in 2011. According to a report by global real estate consultancy Knight Frank, average mainstream prices in Dubai grew by 28 per cent from Q1 2010 to Q1 2018. Over this period, the prime market witnessed prices increase of 29 per cent. In the same time period, prices for residential units within a 15-minute walking distance to key Red Line Metro routes have outperformed the wider residential market. “While prices for residential units which are within a five-minute walk of a Metro station have grown by 51 per cent on average, those units within a 10-minute walk have seen price growth of 58 per cent on average and finally those within a 15-minute walk have seen price growth of 33 per cent on average,” the report points out. However, on average, as one moves further away from the Metro, the price per square foot begins to increase and achieves a premium over the average rate achieved in Dubai. “The Metro effect is one of the many effects that we see operating in the Dubai real estate market. These include the seaside effect, the Sheikh Zayed Road effect, the proximity to landmark effect, etc. While these effects are evident in all real estate markets, their weightage differs from market to market. Clearly, these effects vary over time as well; these are often peripatetic in nature; in Dubai, with the proliferation of landmarks and new city centres that have sprouted over the last decade, it is clear that the premium starts to vary over time. There is also what is known as a ‘suburbia’ premia where there is a premium dependent on the community amenities. These are well-known effects on price and have been commented on at various points by a number of real estate market observers,” said Sameer Lakhani, managing director of Global Capital Partners. As at Q1 2018, the average price per square foot for buildings within a five-minute walking distance to the Metro was recorded at 4 per cent below Dubai’s average price per square foot, whereas those buildings within a 10-minute walk achieve a 9 per cent premium and those buildings within a 15-minute walk to the Metro achieve a sizeable 32 per cent premium over the Dubai average, Knight Frank informs. “However, this trend is somewhat skewed by the higher value properties such as waterfront locations in Marina or properties in the Downtown Burj Khalifa area. Given the location of these properties, quality of finish compared to the wider market, the amenities and lifestyle they offer, it is not surprising we see a premium achieved in these prime areas compared to the wider market,” the report explains. Therefore while buildings in close vicinity to Metro stations have seen superior price growth compared to the wider market, it is evident that other factors have a more material impact on the price per square foot. In Dubai, there exists a significant level of demand where buyers are more willing to pay a premium for locations which are rich in amenities or which have access to waterfront rather than for locations closer to Metro stations. Good examples of such projects are those located on the Marina waterfront, the Palm Jumeirah, in Downtown and Emirates Hills. Land around the Red Line extension is estimated to be 30 to 40 per cent cheaper in comparison. “Developers may be able to maintain healthy margins as the overall quality of finish required compared to the high-end and prime areas can be of a lower specification in these areas. Due to the introduction of the Red Line extension, we expect areas such as Discovery Gardens, the Green Community and Dubai South to draw increasing levels of demand, particularly for affordable housing,” the report adds. According to the consultancy, rental data on a building-by-building level from Q1 2014 to Q1 2018 shows that rents in residential buildings within a five to 15-minute walk to Metro stations increased by 1.8 per cent on average. Metro area rents have outperformed wider market rents where rents fell by 11 per cent over the same period. The rent per square foot data matches the sales cost per square foot trends; rental rates begin to increase and achieve a premium over the average achieved in Dubai as we move further away from Metro stations. Properties in Jumeirah Lakes Towers are the only exception to this trend where rents decrease as you go further away from the Metro stations. One of the prominent factors driving such trends is affordability. Properties in close proximity to the Metro tend to command significantly lower prices and rents when compared to more prime areas which surround these Metro neighbourhoods. Dubai is currently the second most expensive city to live in the Middle East, according to Mercer’s cost of living survey and the 26th most expensive globally. As affordability in Dubai becomes more acute due to the introduction of value-added tax and expulsion of fuel subsidies, going forward there is likely to be greater demand from both owner occupiers, investors and tenants for properties in close proximity to the Dubai Metro, be it along existing or upcoming lines.